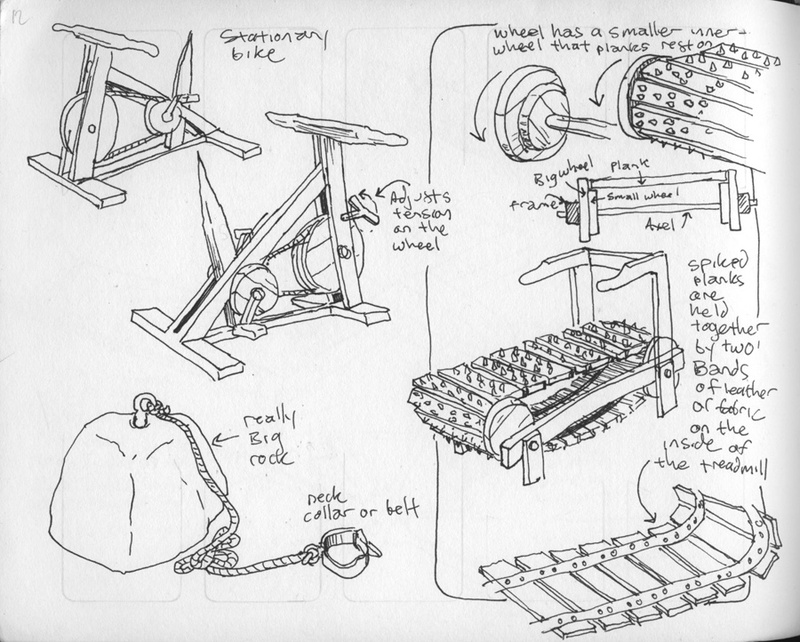 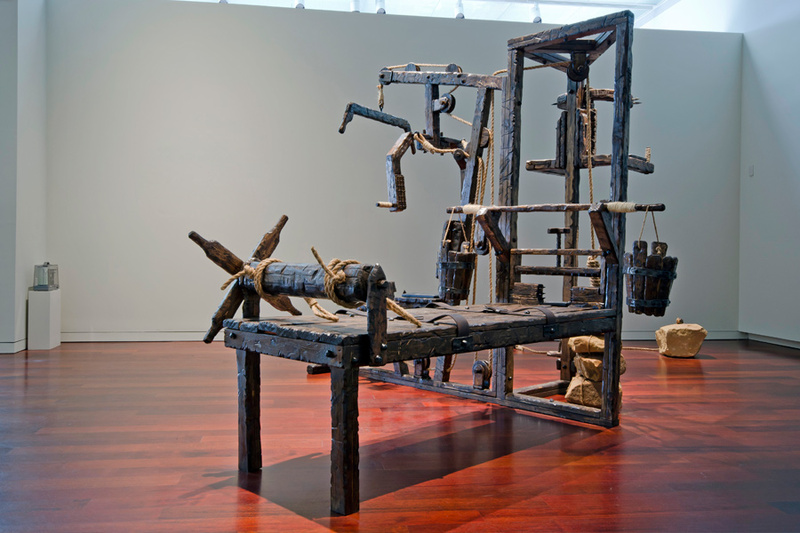 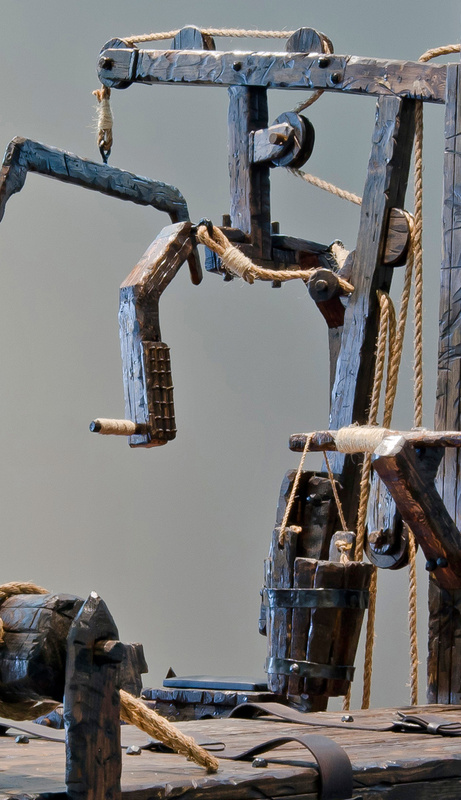 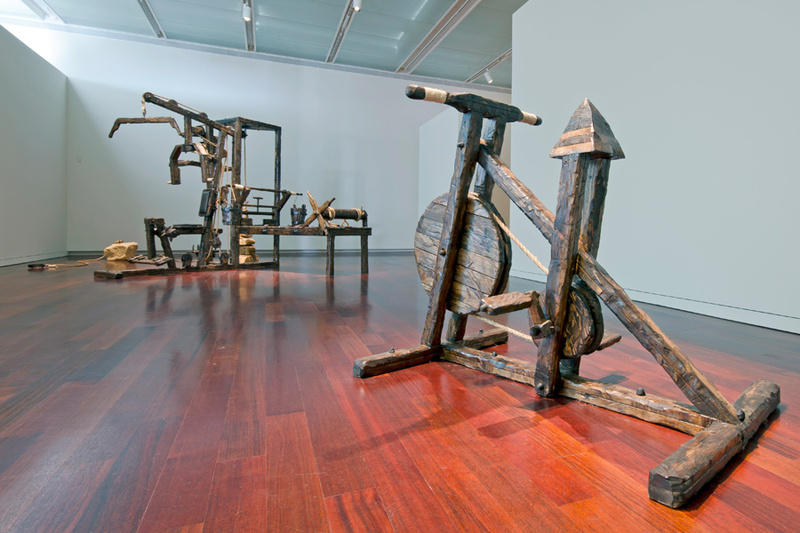 Stationary Machines consists of several large-scale sculptures that combine formal elements from medieval torture devices and contemporary fitness equipment. 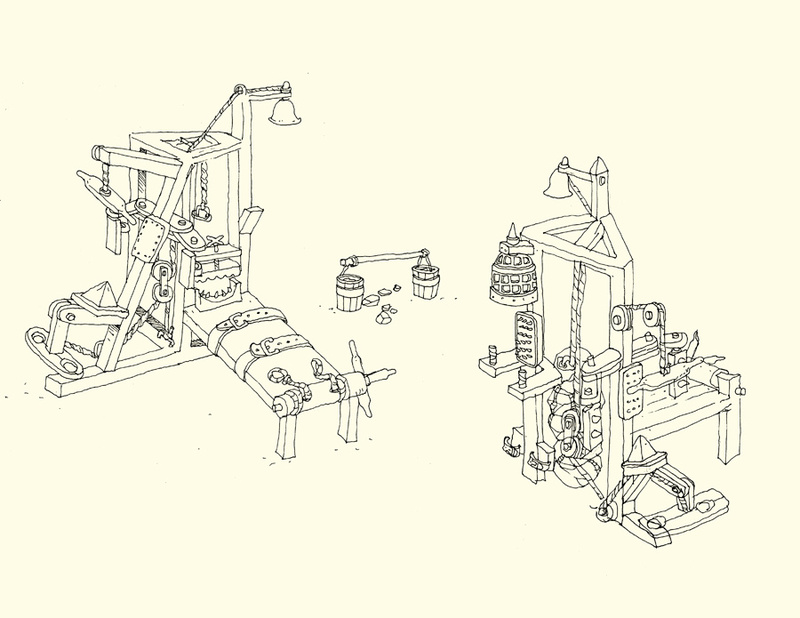 While the machines are stationary, they strategically imply activation by a user and highlight the relationship between being disciplined and being self-disciplined. 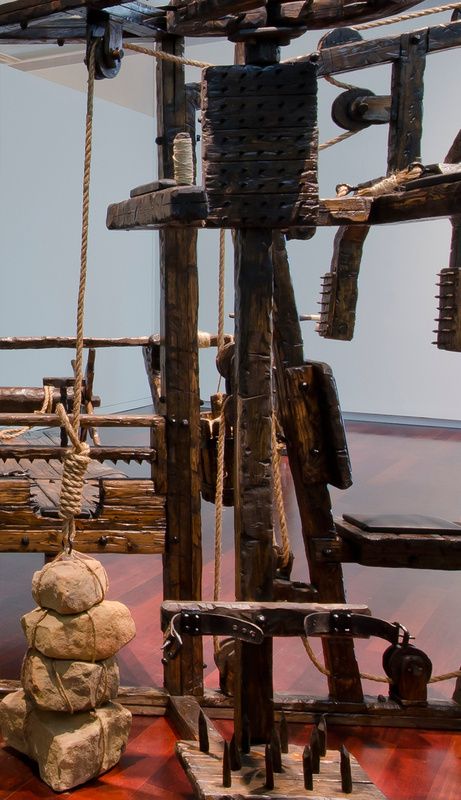 Everyday materials, such as industrially milled wood, sisal rope, and landscaping rocks, are refashioned to emulate rustic hand-made building techniques. 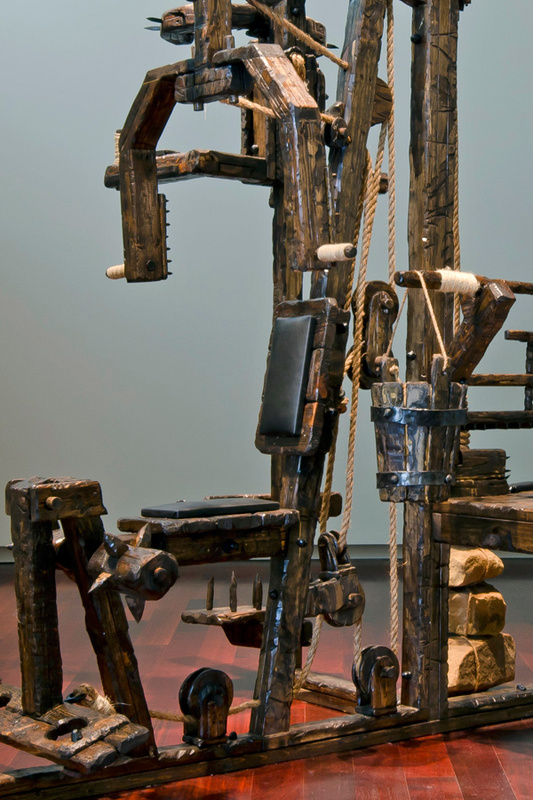 The ordinary exercise machine is defamiliarized at the same time that the extraordinary torture machine is made as routine as a workout schedule. 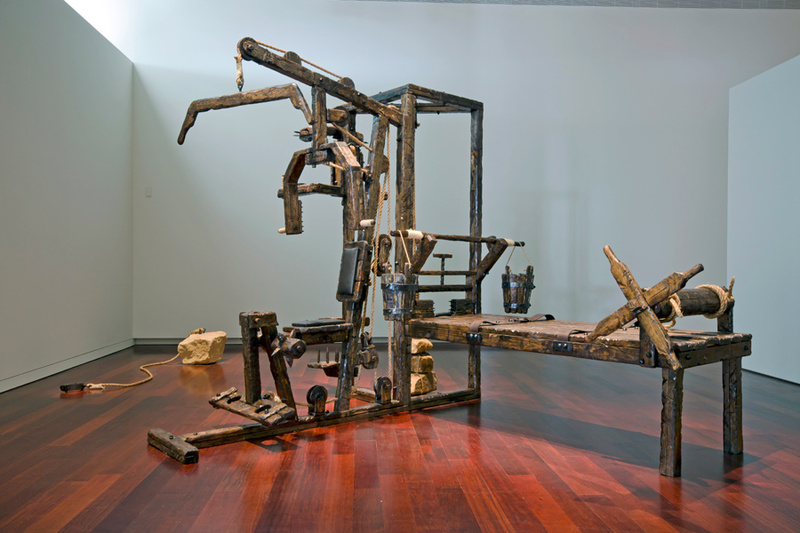 Additionally, the rough-hewn and wrought iron architectural accents typical of Spanish colonial structures like the McNay Art Museum, where Stationary Machines was first exhibited, provided material inspiration for the project. 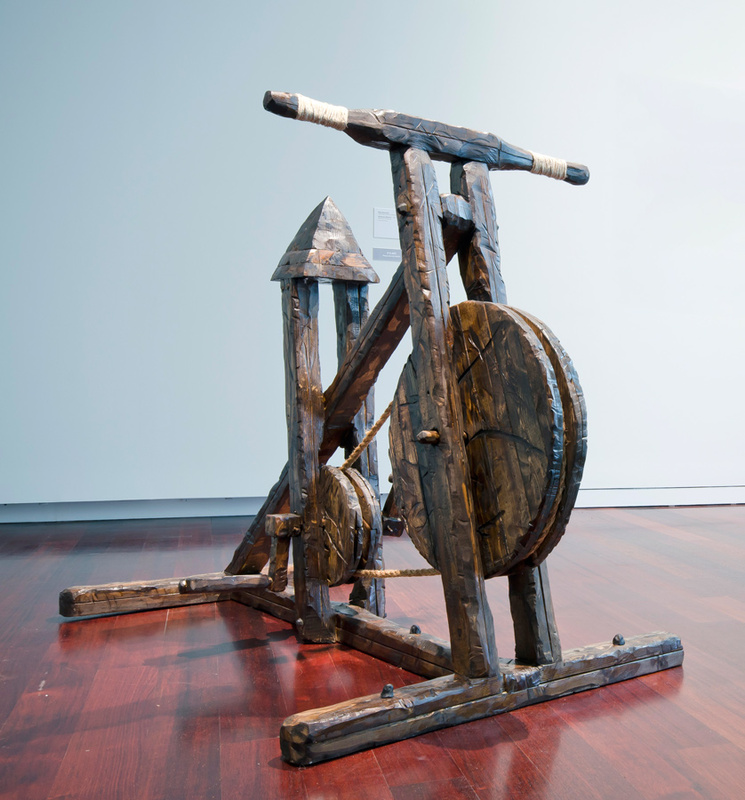 Made for the group exhibition “New Image Sculpture”, Stationary Machines combines whimsy and anxiety while commenting on the commercialization of physical fitness and health.